The Me Too movement is extremely significant. The importance of holding those accountable for sexual assault is imperative. The after-effects this movement has had on dating and relationships is profound as well. I am hearing from males and females their experience in dating in terms of how this movement has effected them. 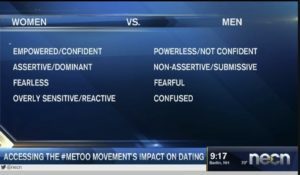 During my bi-weekly segment on NECN with anchor Joy Lim Nakrin, this week’s discussion I provided viewers with the view of males and females in the effects Me Too has had on dating. 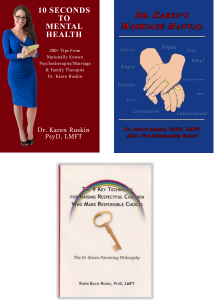 Although this is not the experience of all males and all females, it is certainly enough of a theme posted by celebrities for the public to read, as well as the everyday public whom are coming in for relationship coaching expressing their challenges. If you missed my interview live, as always, here is the link for viewing on demand: MeToo’s impact on dating: males vs. females. Ya it really is going to be interesting to see how this plays out. Guys with power and money who do nothing wrong are kind of in a vulnerable position these days, the tables have turned a bit.